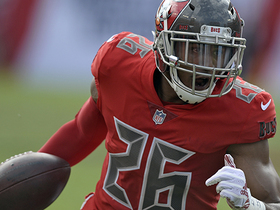 Analysis: Adams appeared in 13 games (four starts) with the Buccaneers last season, recording 38 tackles and a team-leading four interceptions. 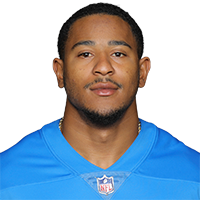 The 26-year-old will provide strong depth in Detroit's secondary 2019. Analysis: This news could come as a surprise due to the fact that Adams led the team in interceptions last season with four. 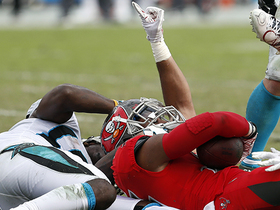 On top of the interceptions, Adams had a solid 38 tackles (29 solo) in just 13 games. Tampa Bay could still bring Adams back, however, just for less than the $2.05 million tender it would've cost the team. Analysis: Adams once again started at strong safety with Justin Evans (toe) now on injured reserve. 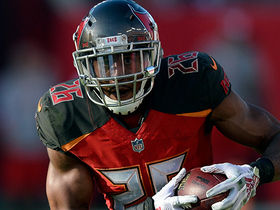 The four-year pro has been productive as an IDP option in Evans' stead over the last three games, as he's posted between five and seven tackles in those contests. He'll look to close out the season strong versus the Falcons in a Week 17 divisional showdown. Analysis: Isaiah Johnson (concussion) is also active, but Adams will notably get the starting call Sunday. 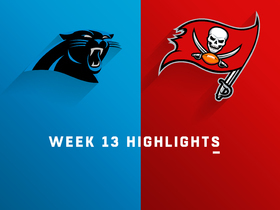 The second-year pro shined in Week 13 against the Panthers, snagging three interceptions off Cam Newton. 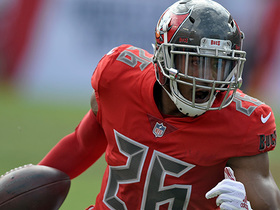 Analysis: Though Adams is listed as the top backup to Evans at free safety on the Buccaneers' official depth chart, the team will instead have Johnson fill in alongside Jordan Whitehead at the back end. Adams only played 10 fewer defensive snaps than Johnson in the 16-3 loss to the Redskins in Week 10, so it wouldn't be surprising if both safeties saw similar usage again Sunday. 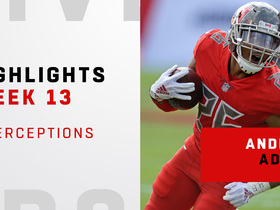 Adams will start at strong safety in place of Justin Evans (toe) for Sunday's game versus the Giants, Art Stapleton of The Bergen Record reports. Analysis: Adams will make his first start of the year against the team that cut him back in September. The third-year pro only has 10 tackles in a reserve role this season, but Adams will see an uptick in responsibility in place of Evans, who averages 6.3 stops per contest in 2018. Adams signed with Tampa Bay on Tuesday, Greg Auman of The Athletic reports. Analysis: Adams started 17 games with the Giants over his first two seasons, but failed to make their 53-man roster prior to Week 1. 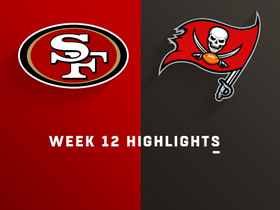 With Chris Conte (knee) placed on injured reserve, the Bucs were looking really thin at safety. As a result, Adams could potentially see some meaningful snaps early on. The Giants waived Adams on Saturday, Jordan Raanan of ESPN.com reports. Analysis: Adams accrued 80 tackles and one interception in 30 games the past two seasons for the Giants, but the new regime opted to roll with Michael Thomas behind starting strong safety Landon Collins. Considering his production, Adams shouldn't have a problem landing a job elsewhere. Adams is competing for the starting job at free safety, Art Stapleton of NorthJersey reports. Analysis: Adams rolled with the first-string defense during OTAs and minicamp this spring, which suggests he should be considered the favorite to win the job in advance of training camp. His primary competition, Darian Thompson, was the team's starter at free safety in all 16 games last season, but the 2016 third-rounder struggled in run support and ultimately finished the year as Pro Football Focus' 76th graded safety (out of 89 qualifiers). Adams logged 34 tackles, two passes defensed and one forced fumble in 16 games during the 2017 regular season. 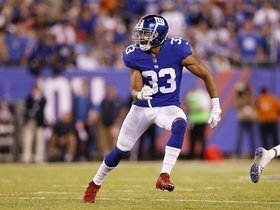 Analysis: Adams, who played 746 defensive snaps at safety during his rookie campaign in 2016, was primarily used on special teams throughout his second year in the league with the Giants. He'll likely battle for a depth spot at safety behind Landon Collins (forearm) and Darian Thompson in 2018. Adams is expected to start at strong safety Sunday against the Redskins with Landon Collins (forearm) landing on injured reserve, Michael Eisen of the Giants' official site reports. 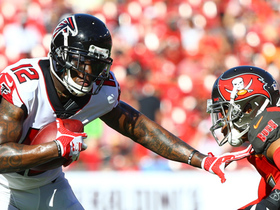 Adams is expected to receive the start at strong safety in Sunday's game against the Eagles, Jordan Raanan of ESPN.com reports. 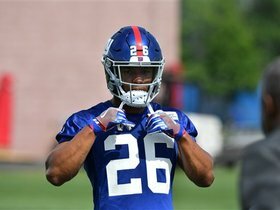 Giants safety Andrew Adams shares his first impressions of running back Saquon Barkley. Giants safety Andrew Adams talks about the expectations for the team's secondary under new defensive coordinator James Bettcher in 2018.